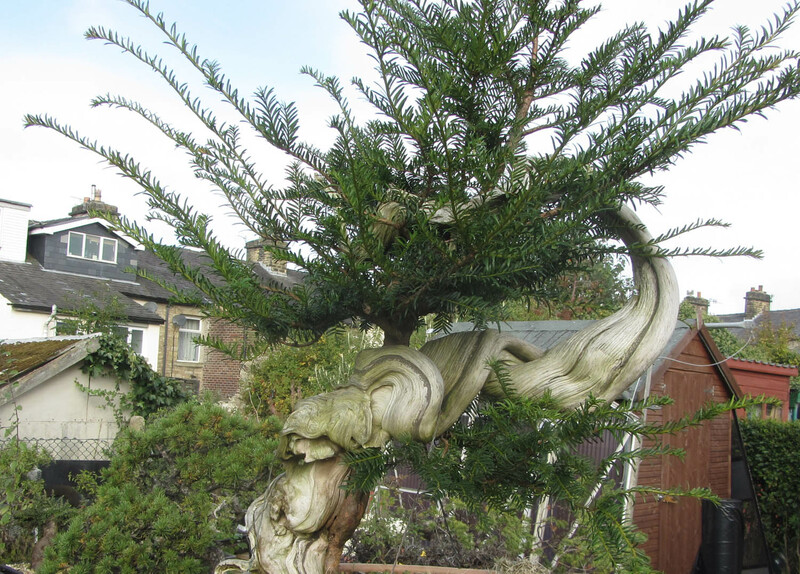 Good aftercare, considered channeling of energy to the areas that I wanted rapid growth and my Tibolar-RS feeding regime has produced this amazing growth on an ancient Yamadori yew that I call George… because he is an English Yew and was collected on St. Georges Day 4 years ago. 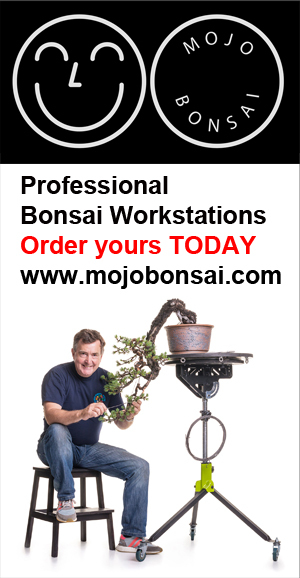 Last December at EUK Bonsai Ten in Diepenbeek Belgium, I bought two tubs of Tibolar-RS NPK 13-6-2 and NPK 4-6-2 where the trader had a table. 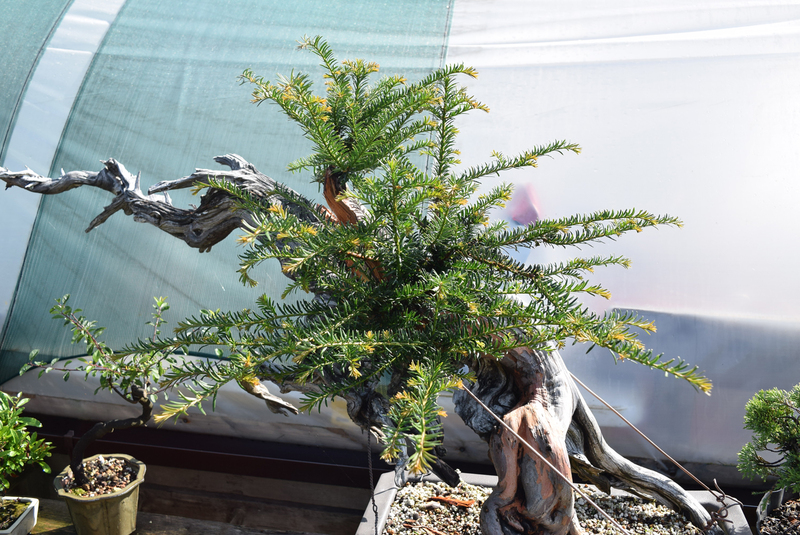 I started to use the NPK 4-6-2 on established yamadori quite early in the year as the winter was not cold at all, we only had two days where the temperature dropped below freezing so early feeding was possible on the trees that I wanted to have accelerated growth. These are trees that have been collected one year and I want a large amount of new growth and to build a solid root mass. I do not feed newly collected Yamadori until at least 2 months after collecting and only then if they have responded well. I used a teaspoon of the feed sprinkled onto the soil surface of each pot and then gently watered in. On my established trees I started to use NPK 13-6-2 mid March, I used this balanced feed as I did not want growth that would be too vigorous and take the trees out of shape. It’s now six months since I started to use this fertilizer and I am honestly staggered at how the trees have responded. This first became apparent around June/July when visitors to the garden remarked how healthy and vibrant the trees looked (when you see the trees every day you do not notice the changes) Its now September and the Crateagus and Prunus species are full of fruit and still bright green with no discolouring on the leaves. The established Yews and Pines have strong back budding this bodes well for next year and the fullness of the foliage. 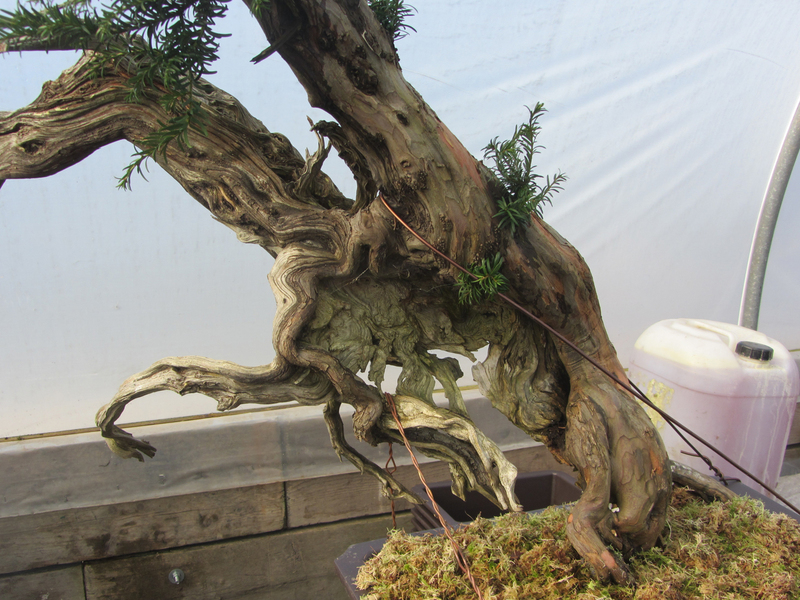 Without doubt the most dramatic change has been the growth on the established yamadori. 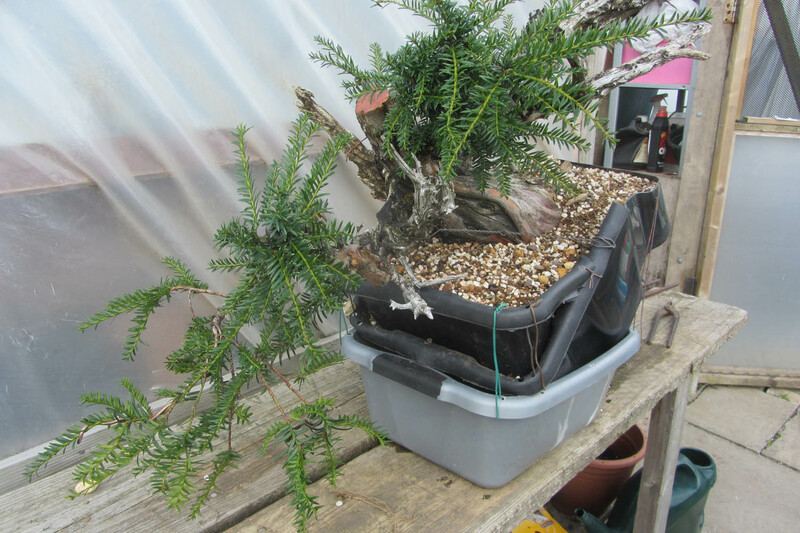 I used NPK 13-6-2 to boost the growth and the response, in particular by the Yew trees, has been staggering. The photos speak for themselves.